Sometimes it can feel like short haircuts for men only provide you with so many options. But if you’ve been wearing cuts like the classic low fade for a while and you’re ready to switch it up, the South of France haircut is one of the trendiest ways to show off your natural curls in a shorter style. You’ve probably seen the look on celebrities like Usher, and we’ve got all the info for you to grab this look for yourself. 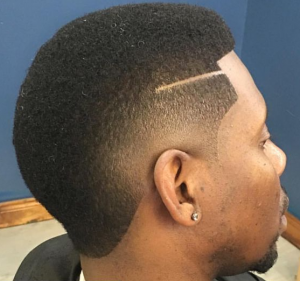 Read on to learn more about the South of France haircut, and to see 30 examples of how to wear this ultra suave haircut. 1What is the South of France Haircut? 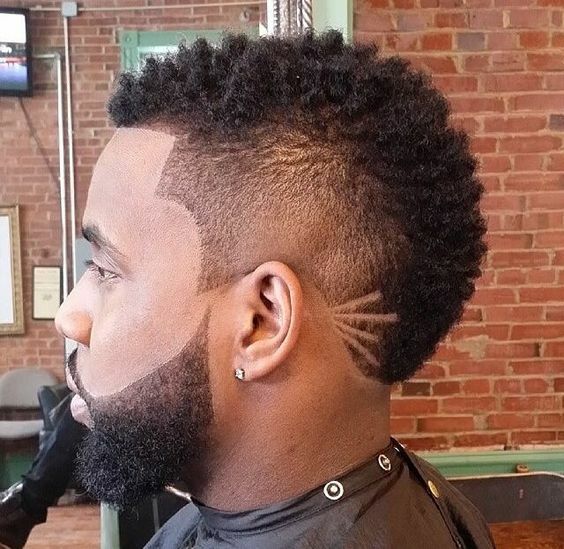 Also known as a burst fade mohawk, the South of France haircut is a modified and modern take on the classic mohawk. 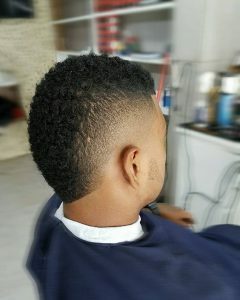 Fading at the sides helps to blend the shorter sections with longer hair on top, while exactly how big these faded sections are is up to personal choice. 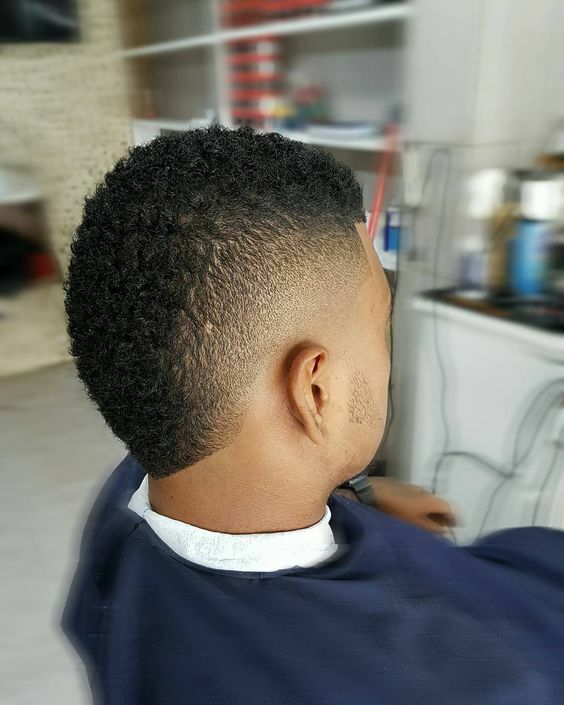 Although the South of France is generally a shorter haircut, you can also go for a more dramatic look by keeping your hair longer on top. 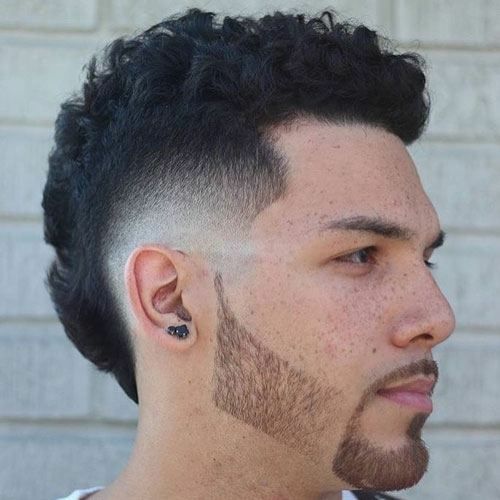 Compared to a standard mohawk, a South of France typically features a wider section of longer hair, making this haircut generally more work appropriate. 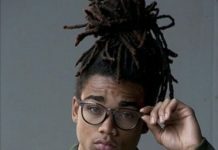 2Is it difficult to style and maintain? 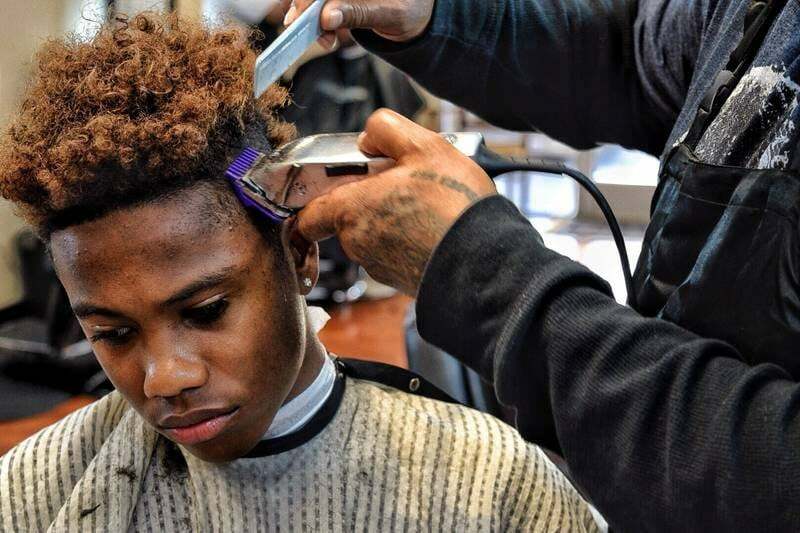 Depending on how long your hair is, the South of France haircut can be super easy to style. 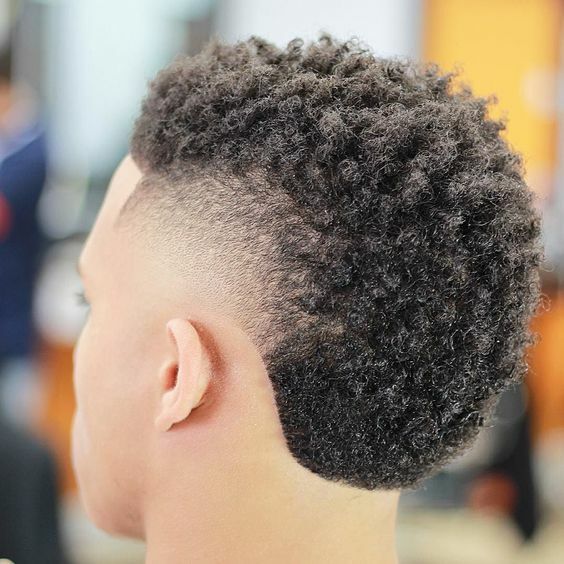 A low fade look may require no styling time at all, while styles that are a big longer on top can get added texture with a twist or sponge curl method. 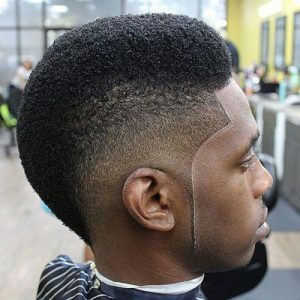 As for maintenance, South of France haircuts that feature a shape up around the hairline will need to be touched up by your barber every couple of weeks. 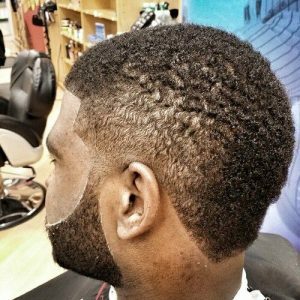 If you’ve got a set of clippers at home you can maintain your shape for longer. If your barber isn’t familiar with the South of France name, you can also refer to this haircut as a burst fade mohawk. 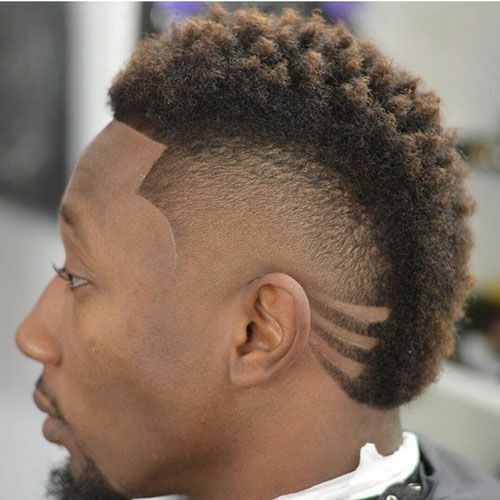 The biggest difference between a South of France cut and more traditional mohawk is that the longer hair on top is wider, which helps to make the style look more classic. A South of France looks like a classic fade haircut around the hairline, so you can also ask your barber for a shape up or line up to give them an idea of the crisp haircut you’re after. 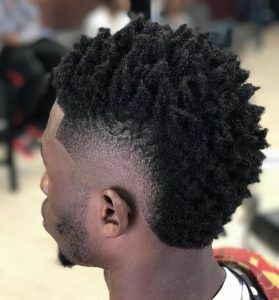 This South of France haircut keeps things a little bit longer on top, leaving room for tons of curly texture that will help lengthen your face. Faded sides blend seamlessly into the beard, showing just how versatile this haircut can be. 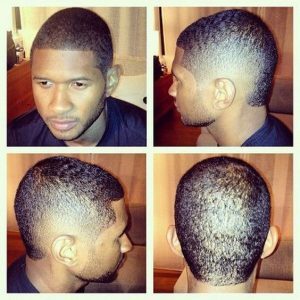 One of the many different ways you can customize your South of France haircut is in how short you want to bring in the faded sections. 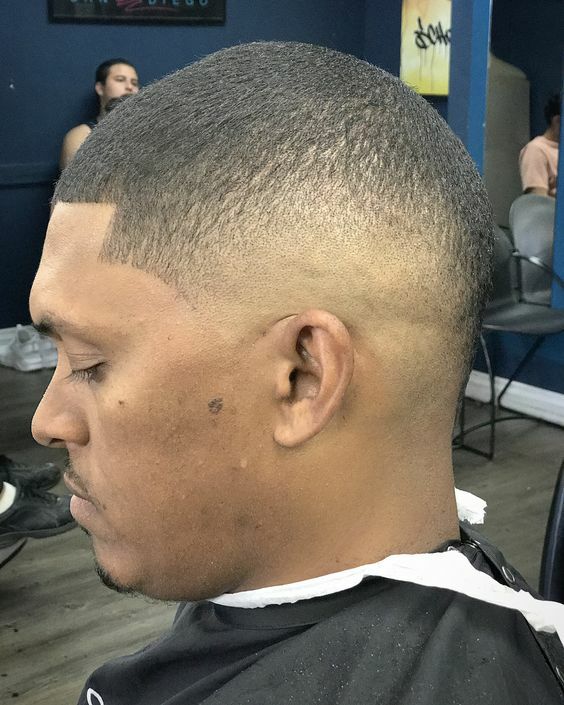 This skin fade style where the hair completely disappears is a good choice for creating a more bold South of France haircut on younger men. 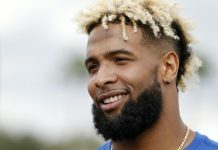 With a geometric shape and longer hair on top than most South of France haircuts, this is a great look for guys looking to add some height to their style. 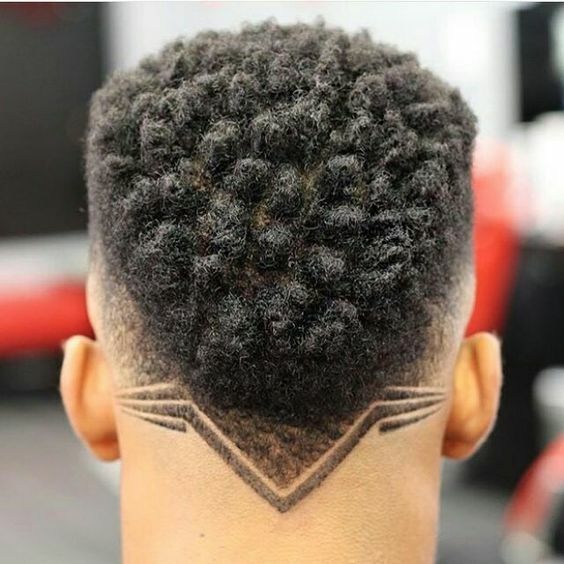 If you want to add something extra to your South of France haircut, this design at the nape of the neck will give your barber the opportunity to show off their skill and precision. The shape at the top of this South of France haircut creates a boxy silhouette that works well on guys trying to balance out fuller cheeks. 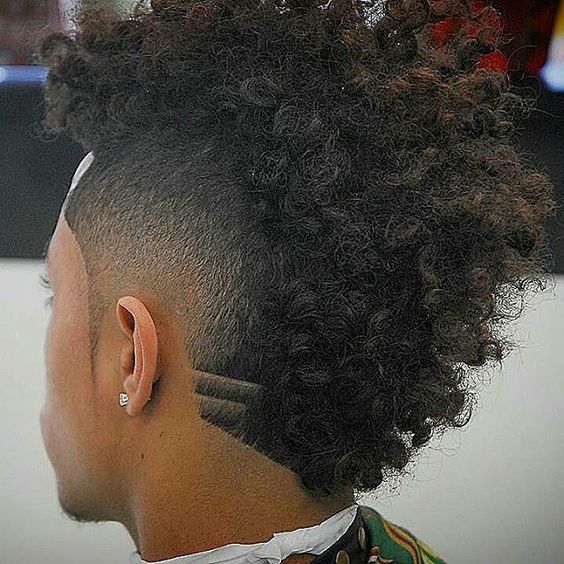 Burst fades at the sides of this look are quite pronounced, providing pointed contrast to the curly hair that surrounds them. 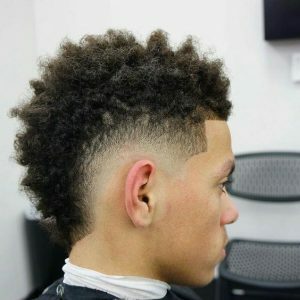 Another longer version of the South of France, this fresh cut gives you plenty of opportunity to show off your soft curls. Razor lines help to add some extra detail to the style, but you’ll have to head into the barber to have these crisp lines touched up. 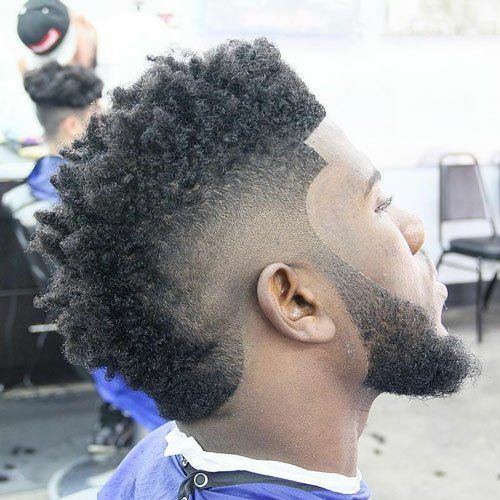 This short South of France haircut features more subtle fading instead of a pronounced burst shape around the ears, making it a great choice for guys with a professional job. 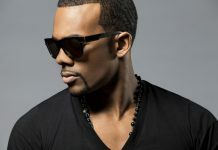 This south of France haircut has an extra wide profile, giving you lots of room to add some thick texture to your hair. 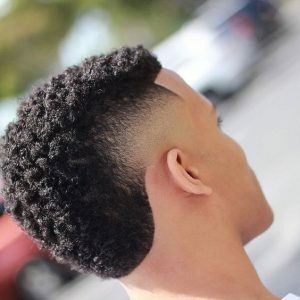 You can use a curl sponge to create this type of texture, or twist individual pieces with curl paste. 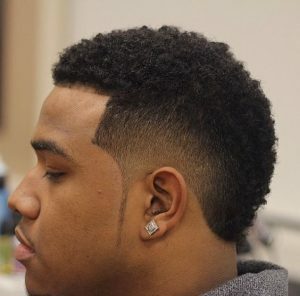 The low profile of this South of France haircut makes it a great starting point for your first time wearing the look. 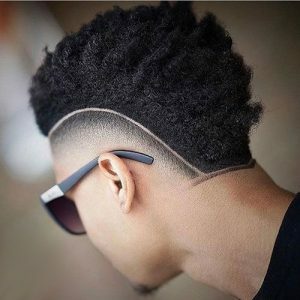 This more dramatic version of the South of France haircut accentuates its shape with a sunburst shaped razor detail behind the ear. This classic south of France haircut is a subtle and simple, featuring relatively small faded areas from the front of the hairline to just behind the ears. 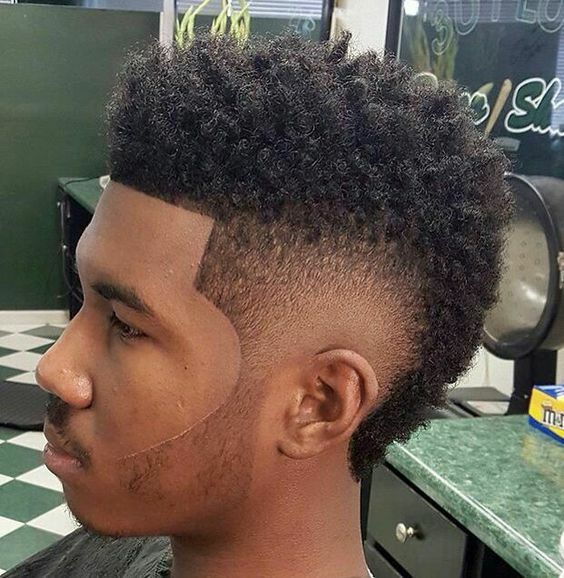 It’s a much thicker style than a typical mohawk, making it slick but not too edgy. 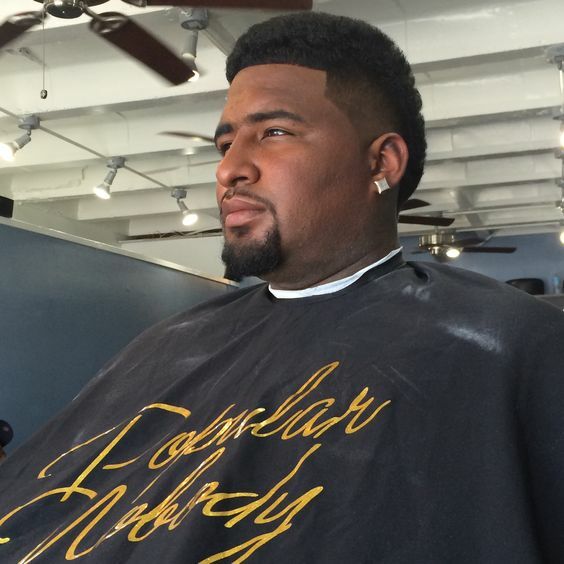 The faded portions at the sides of this South of France haircut are concentrated over the temples, making this a hybrid between temple fade and burst fade mohawk styles. 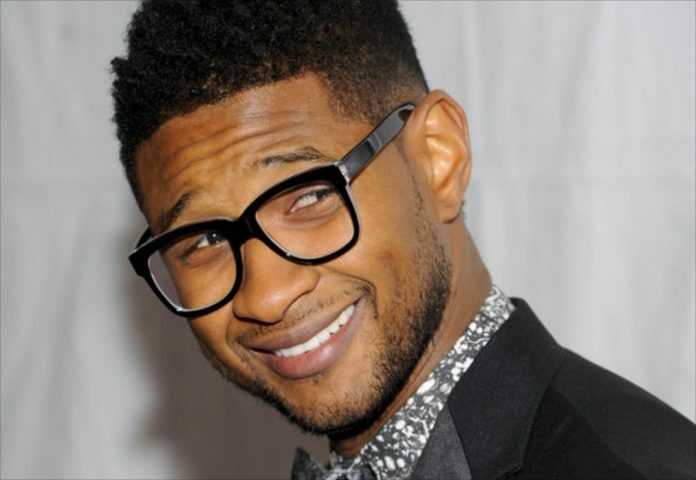 Usher’s ultra low south of France haircut is just about the easiest and most low-key way you can wear the style. You’ll need frequent trims to keep this style looking just right, but you won’t have to worry about daily styling. 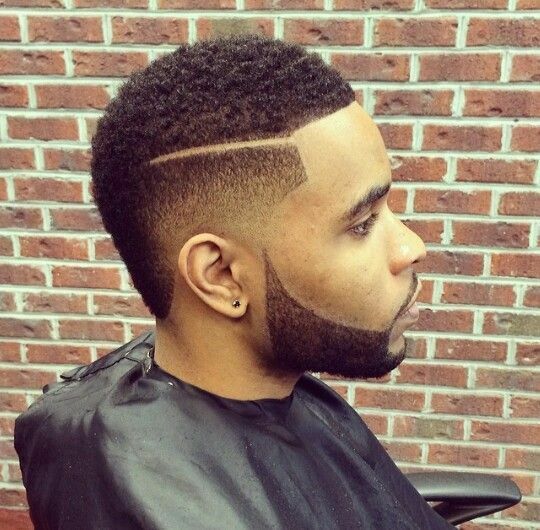 For an extra detail to help frame your haircut, try adding a crisp razor line into your South of France style. 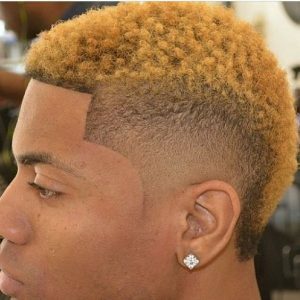 The faded portion of this South of France haircut has a nice gradual quality that makes it subtle and classically masculine. 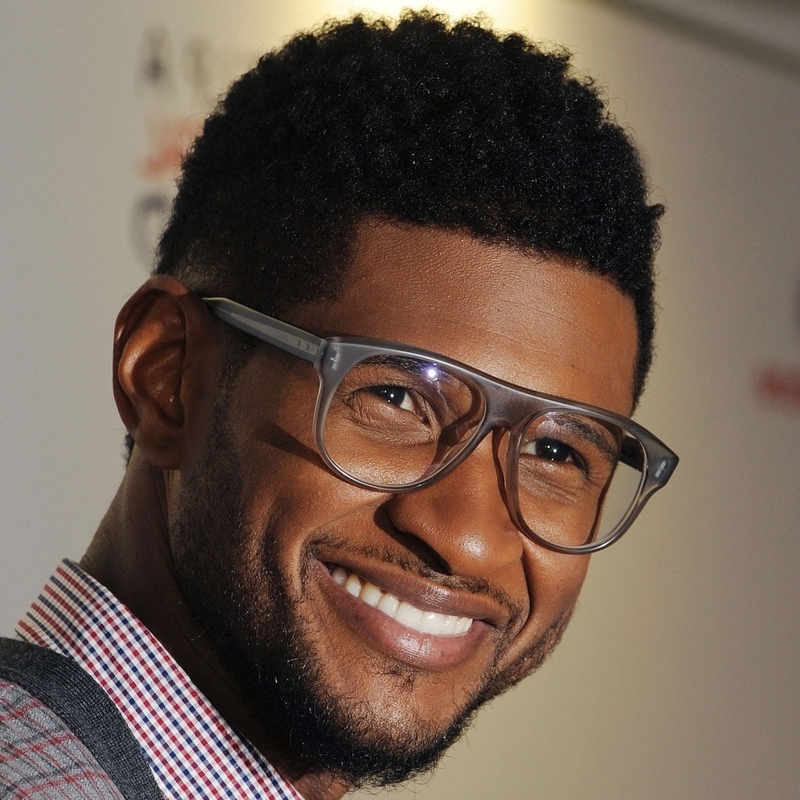 Want to make the most of your hair’s curly texture without wearing a shapeless haircut? This South of France brings things in at the sides to help slim your face and define your features, but still leaves plenty of room for your thick curls to play. 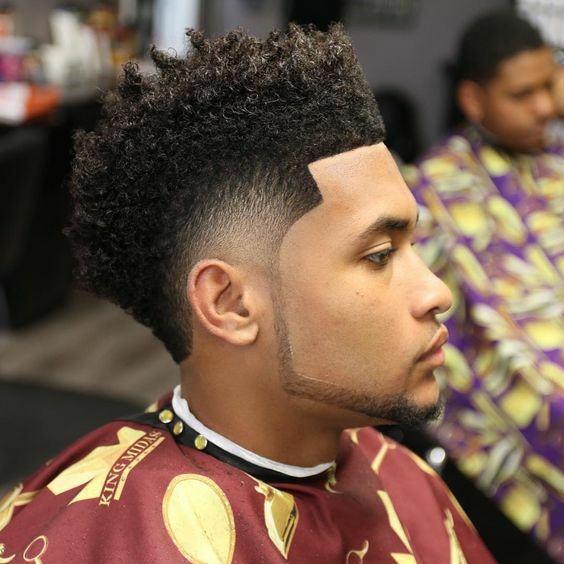 If your hair has a natural wavy texture instead of tight curls, the South of France is still a great haircut that lets you show off some texture while looking clean around the ears and hairline. 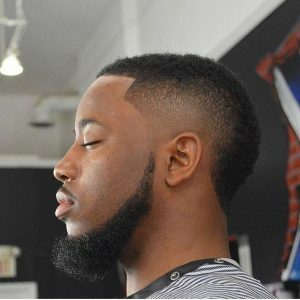 The low burst fade in this style is positioned more towards the back of the head, giving you room for just the right amount of space for a shaped up hairline. 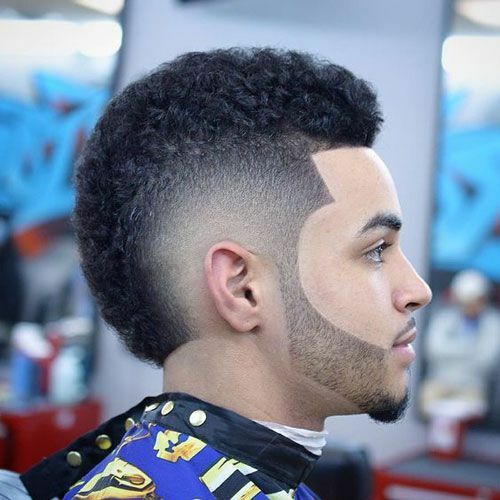 The higher sides on this South of France haircut make it look a classic fade cut from the front, while the longer hair that extends down the back of the head give it a more interesting mohawk shape. 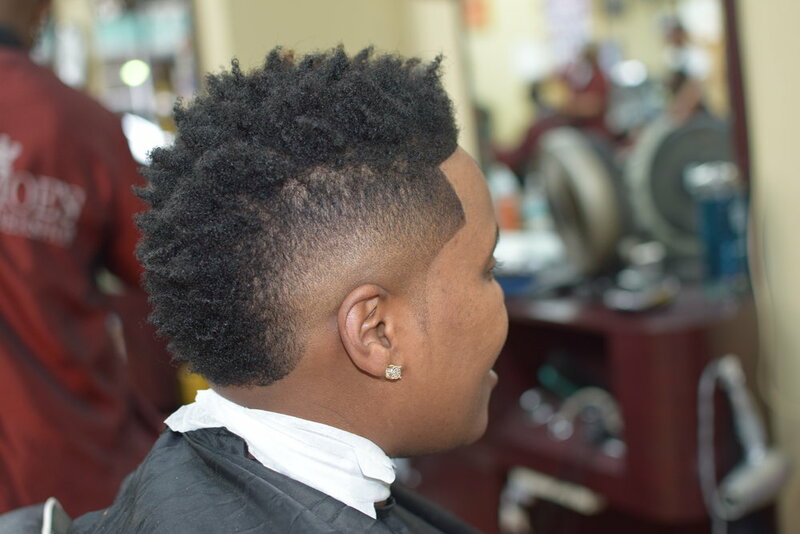 A slight wave texture in this South of France style helps to bring interest and flow to this short haircut. Take a South of France haircut to the next level by adding a shock of blonde color to your natural curls. 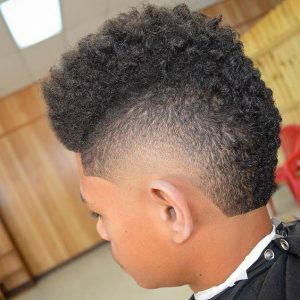 With a low fade and ultra short lengths, this is what a classic fade cut looks like with just a tiny dose of mohawk personality. 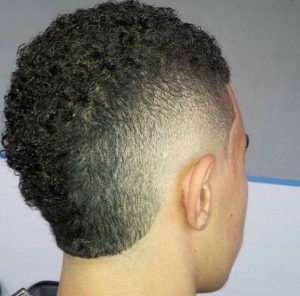 The high curls and shape of the fade give this South of France haircut an almost regal vibe. Mixing geometric style with a curved silhouette, this South of France haircut perfectly blends softness and masculinity. The bold edges of this South of France haircut lets your natural curls speak volumes with a twist out texture. The line details behind the ears of this bold South of France haircut are thicker than most razor lines, giving the style a more unique flair. 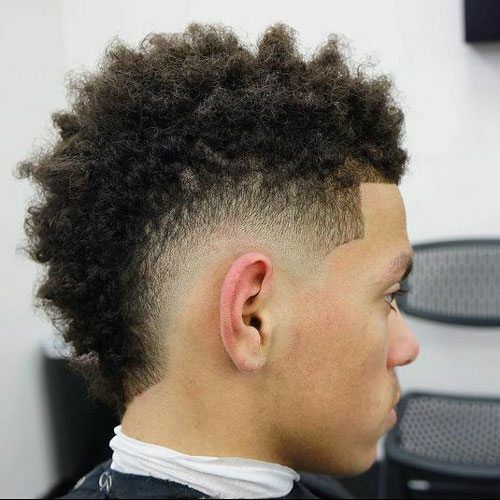 With curls that extend several inches into the air, this style is a neat combination of the high top fade and South of France haircuts. The ultra smooth fade at the sides of this South of France seamlessly blend the longer top into the skin around the ears. 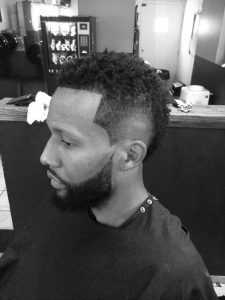 A razor line cuts across the top of this look for an added feature, but you can skip this detail if you want a more understated style. The curved line details at the sides of this South of France style help to elevate the haircut into a geometric masterpiece that only a very skilled barber can pull off. 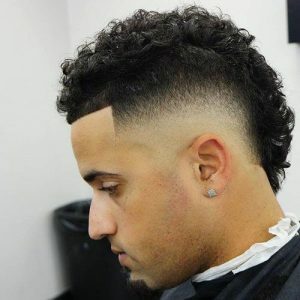 Softer curls get framed by larger faded sections at the sides of this South of France hairstyle.